Few pieces elicit such immediate joy as the artworks created by Rebecca Louise Law. She has spent much of her artistic life recreating the fields of flowers that delighted her as a child. Her massive, installations—described as “deconstructed gardens” and “floral magic”—include cascades of multicolored wildflowers and lines of monochromatic roses, all hand dried and hand tied. Her art has appeared everywhere from Times Square to Windsor Castle and companies such as Hermès, Tiffany, and Jo Malone, have commissioned her to decorate their stores. 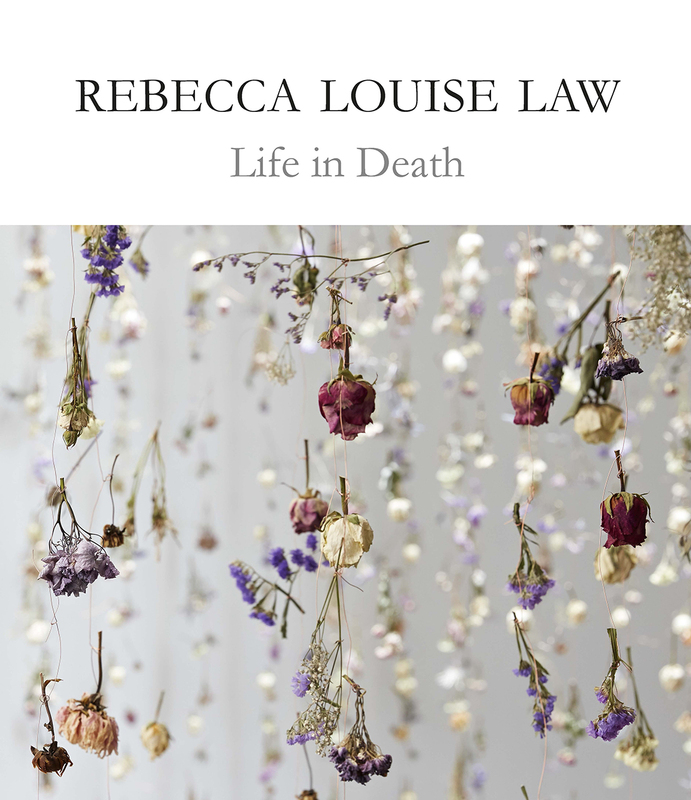 Life in Death is the most comprehensive collection to date of Law’s work. It documents the evolution of Law’s unique artistic practice, and explains why she chose to use preserved flowers as sculptural material. It offers a journey through her earliest experiments to her best known immersive installations, via a series of beautifully documented photographs. It also provides a unique insight into Law’s life and influences, including an introduction written by the artist herself. The collection culminates with exclusive imagery of Life in Death from Law’s exhibition at Kew’s Shirley Sherwood Gallery. It’s a breathtaking book that puts a pop of color and world of delight into the hands of her fans.